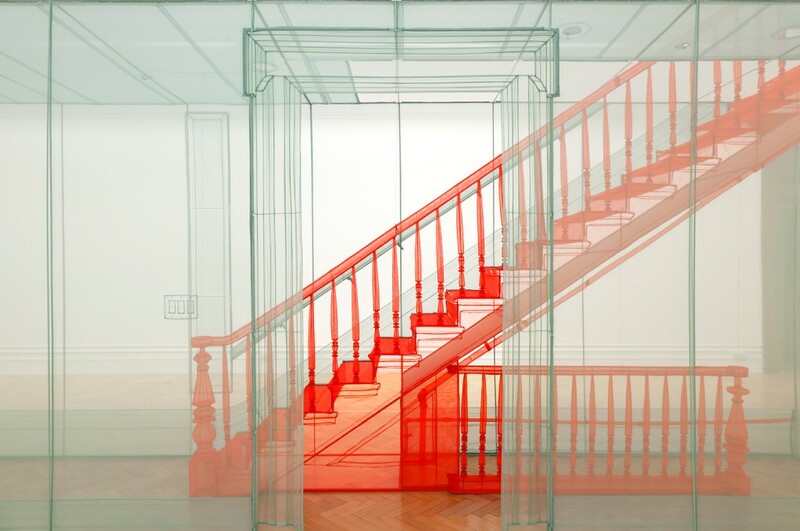 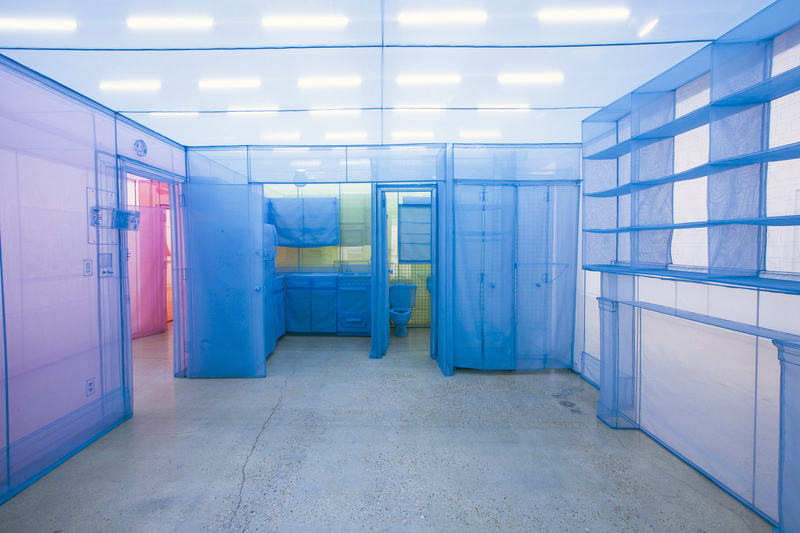 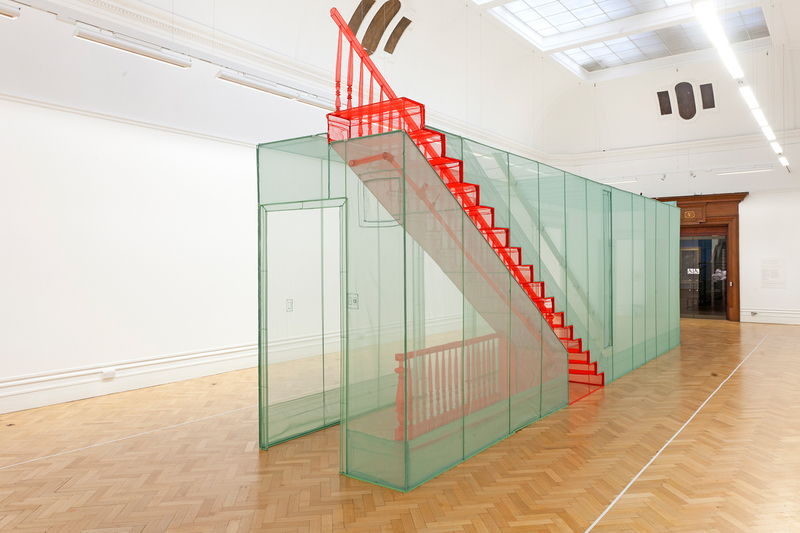 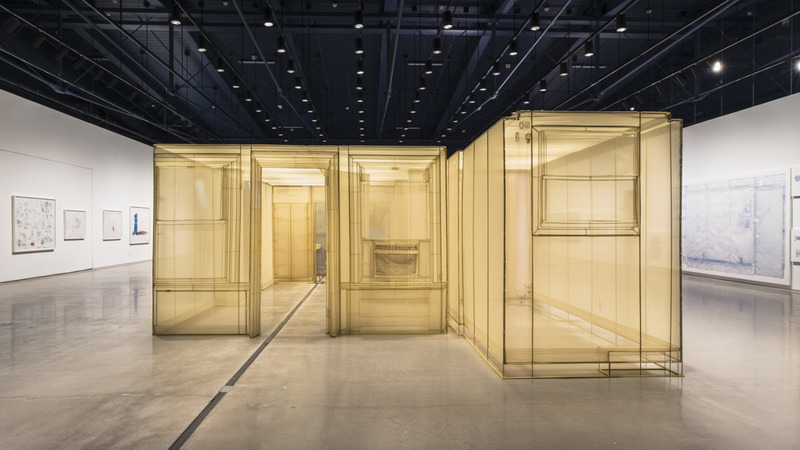 Why did Do Ho Suh create this work? 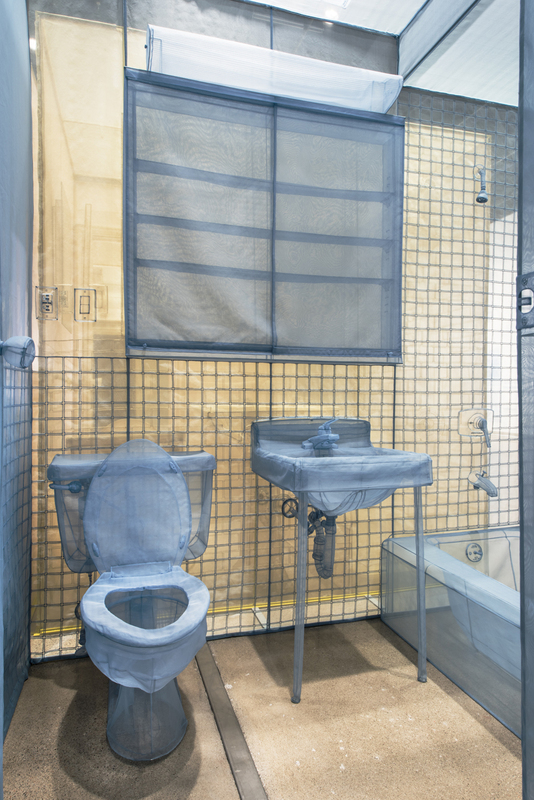 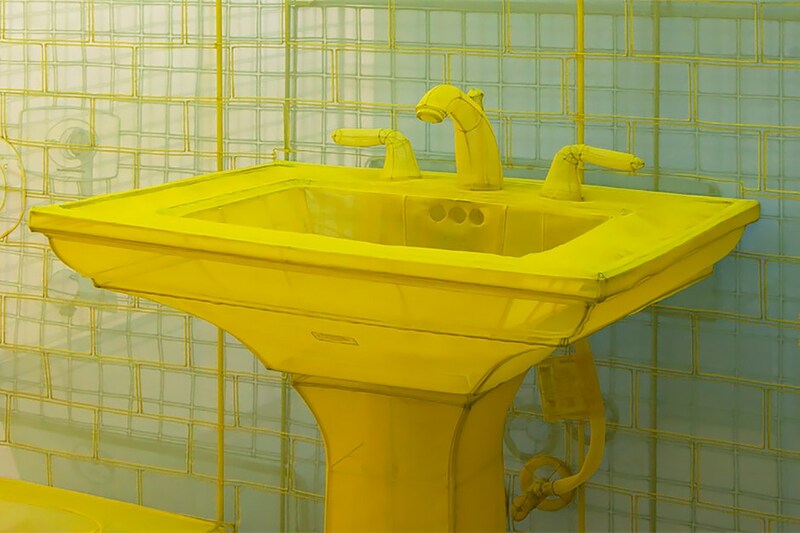 South Korean artist Do Ho Suh created an installation based on his New York home. 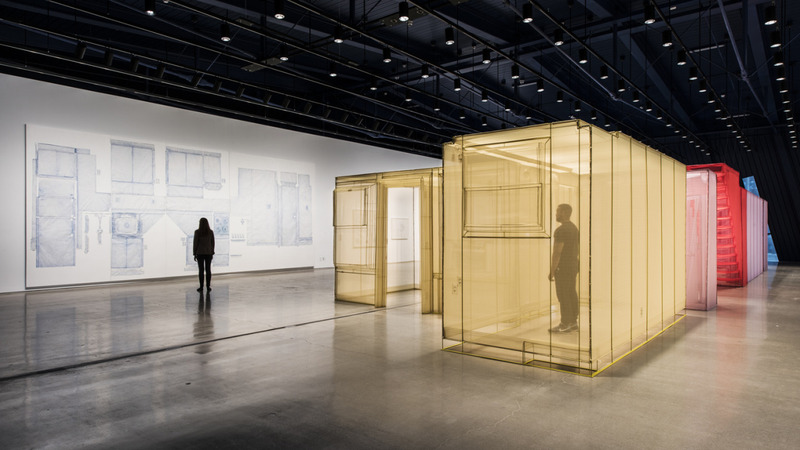 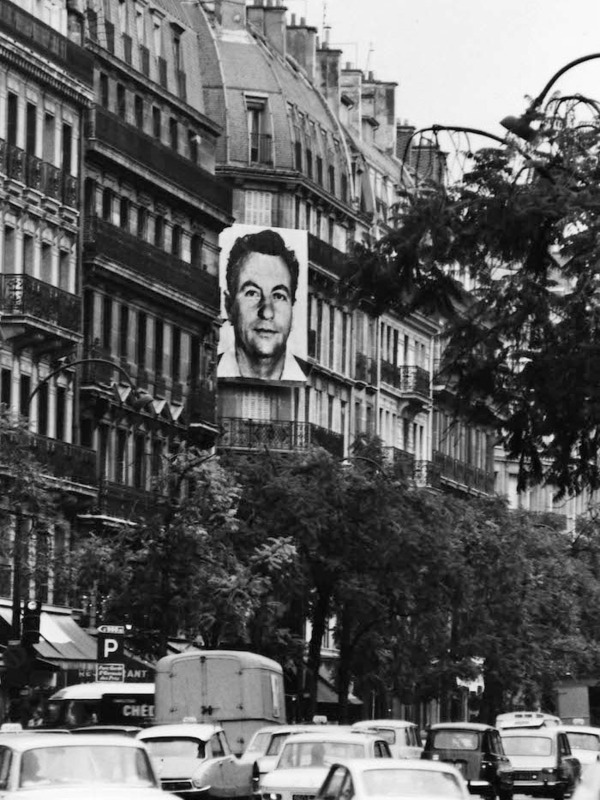 It serves to highlight the permeable margins that are said to disconnect private and public in addition to the normalized concepts global identity, space and place, diasporic movement, memory, and displacement. 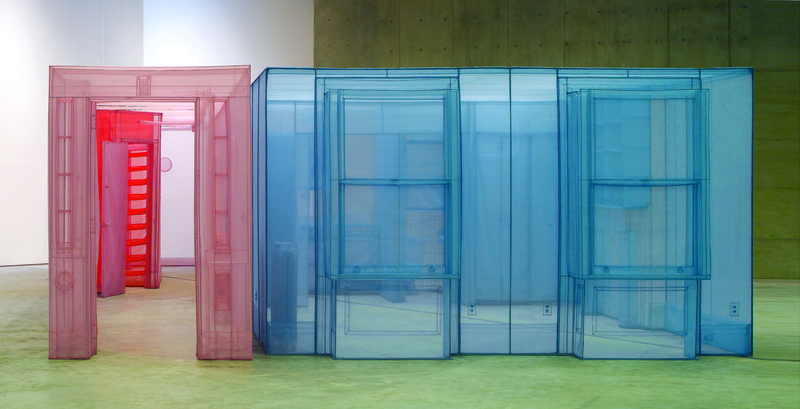 Do Ho Su’s biography is the inspiration of the architectural settings and abstracted figures. 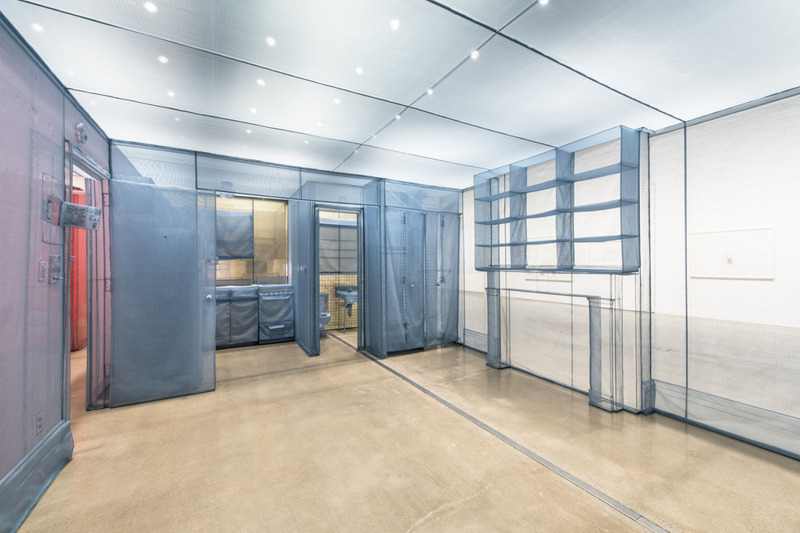 New York City Apartment is a piece that is cognizant of the artists individual lived experiences, significantly lighting his move from South Korea to the United States, in addition to the places he has called home such as his childhood home (a traditional hanok-style Korean house), the house in Rhode Island where he once lived as a student, and his current apartment in New York City. 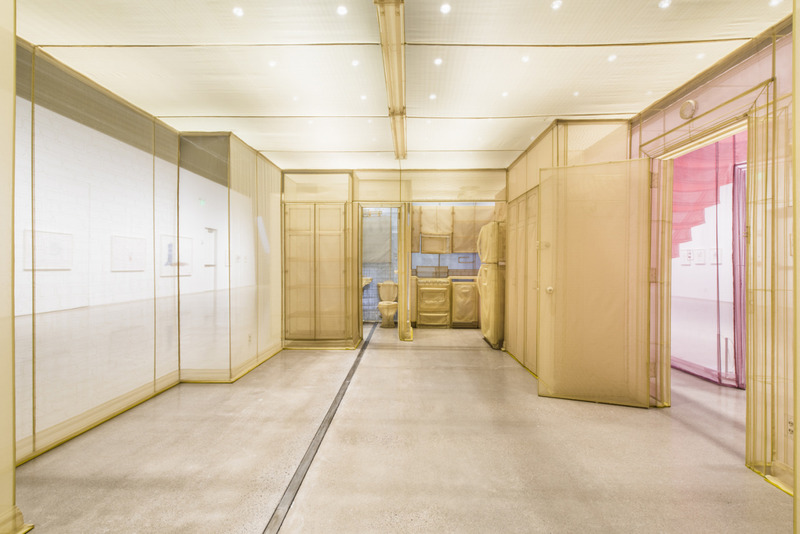 The main installation seems to represent almost any and every single bedroom apartment in New York with its one living room, bedroom, kitchen, and bathroom. 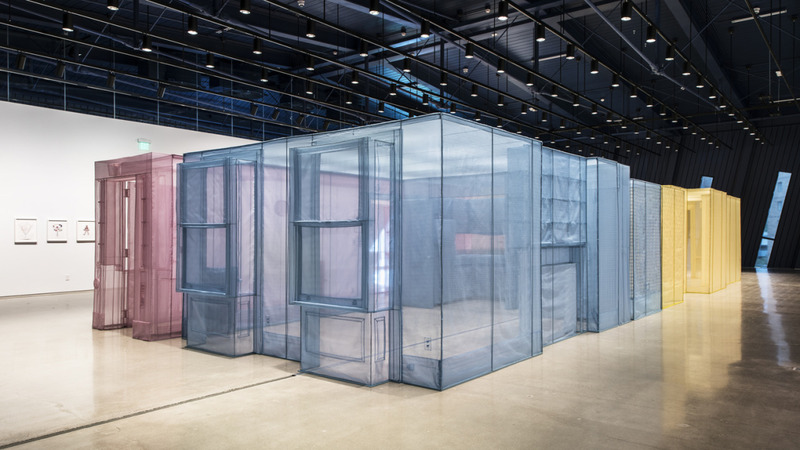 Each piece of the home-like installation hangs in apparent stability, however, with the lack of foundation alerts audiences to the precarious fragility of the polyester home. 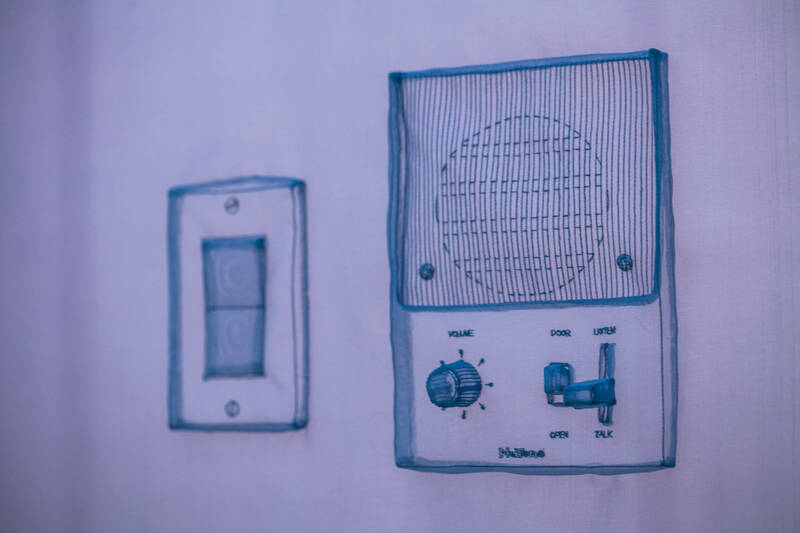 Even the items featured that your mind wants you to think are hard, a toilet made of solid porcelain, a heater, a light switch embedded into a wall is truly soft and material that is hardly there- leading many viewers to question if the solid objects that these translucent representations epitomize are any less precarious than the monochrome polyester. 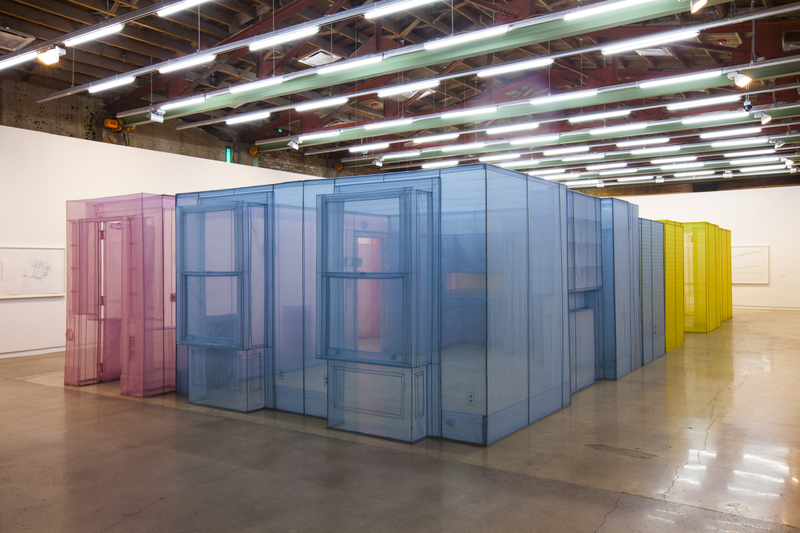 Is home the thing we feel is most stable, truly something forever, or something that delicately hangs in the balance and can change? 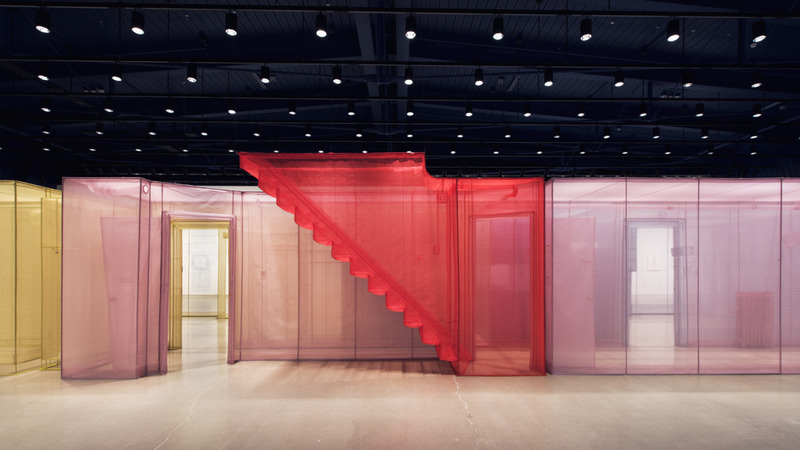 His work invokes transparency, gradating space and intermediate areas in Korean architecture, and has been taken various physical forms such as the recapitulations of large-scale house sculptures, identifying the ostinatos of his past and present family homes, intersected in a way that makes the interiors visible. 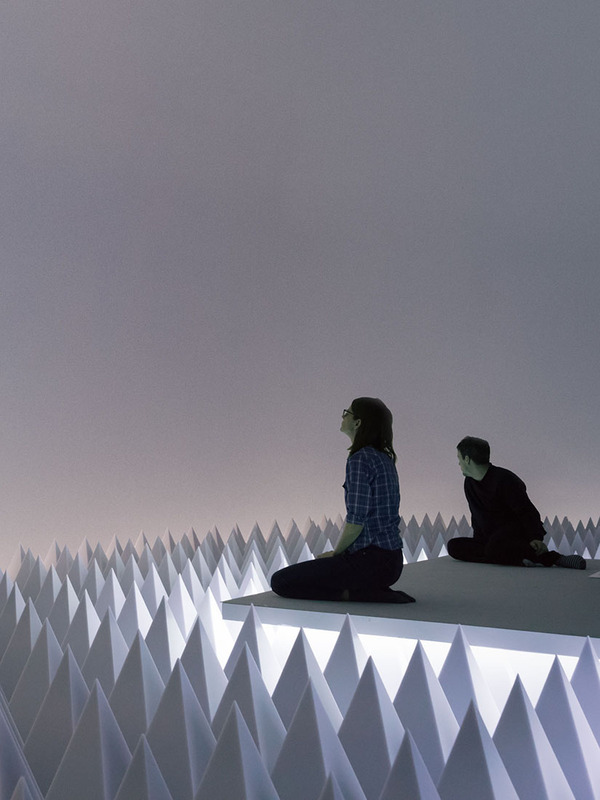 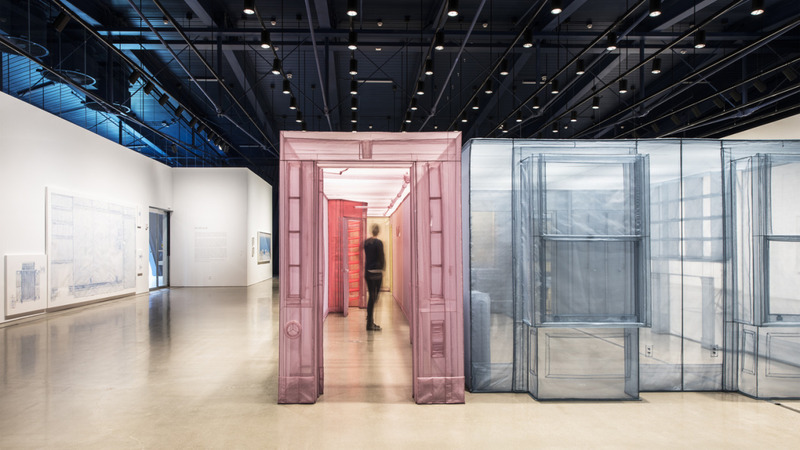 Do’s use of monochrome polyester transparent structures are luminous, architectural, and fleeting, allowing audiences to roam through the disorienting interior passageways. 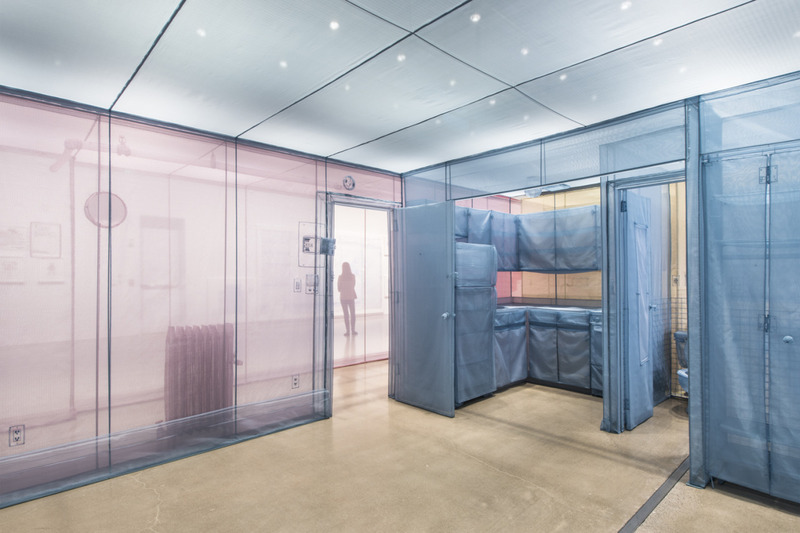 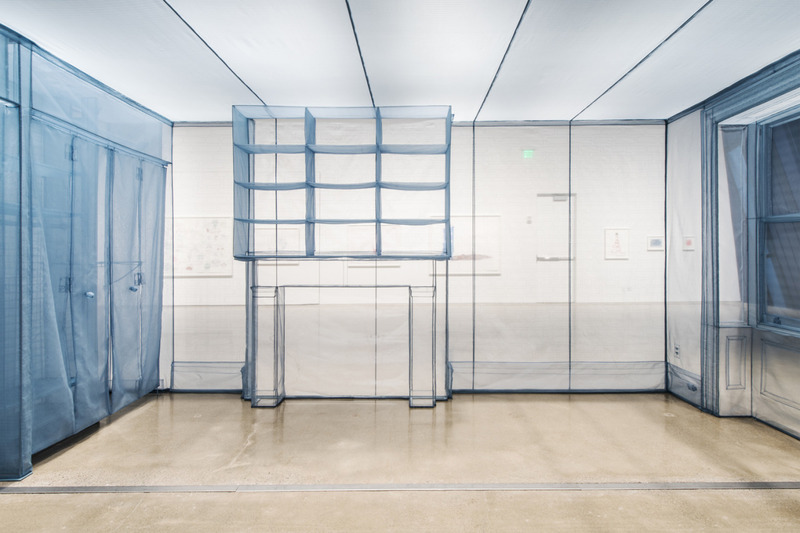 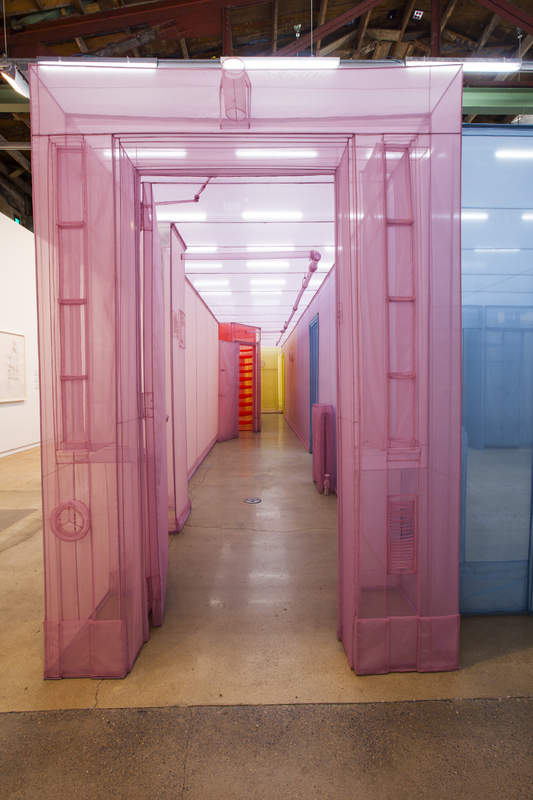 Posted on January 27, 2017	in the category Architecture, Installation and tagged apartment, Architecture, Art in New York, Bristol Museum and Art Gallery, Cincinnati Contemporary Arts Center, Do Ho Suh, exhibition, fabric, installation art, MOCA Cleveland, sculpture, textile, The Contemporary Austin, 서도호.